This delicious easy seafood recipe from Grazia Soncini is a quick one-pot dinner with impressive results. Taking just half an hour to prepare, this baked fish dish is a fantastic way of livening up your midweek supper repertoire and can be made even simpler if you ask your fishmonger to gut the fish for you. 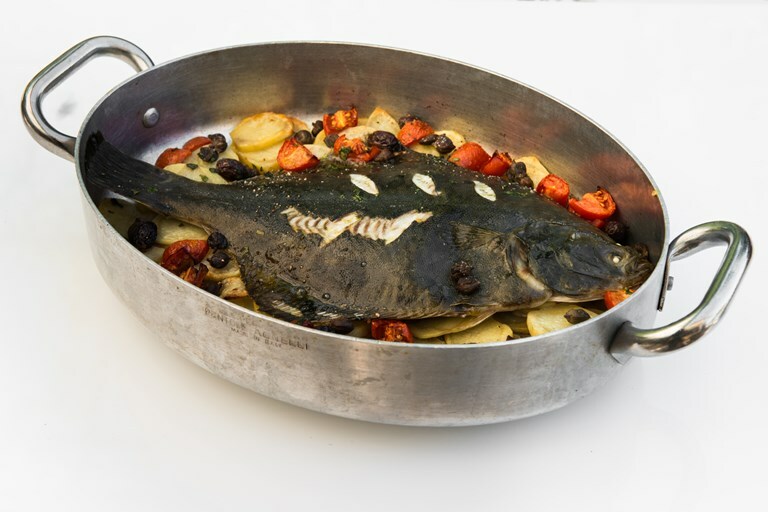 With capers, olives and juicy tomatoes complementing the subtle taste of the flounder, this dish celebrates classic flavours of the Mediterranean.